It’s time for another great walking challenge. The Pennine Way is England’s oldest, longest and most difficult National Trail. There will be lots of isolated fells, remote moorland, bogs and inclement weather but it’ll be a walk in the park compared to living with MS. Over 16 days in June I will walk 430kms along Britain’s spine starting at Edale in the Peak District and finishing at Kirk Yetholm in Scotland. Raising vital funds for continued research will hopefully lead to better therapies, improved quality of life, hope and ultimately a cure for the 3 million worldwide, including my wonderful husband Mike, currently living with MS. Proudly sponsored by Abbott Diabetes Care, Brand Solutions (Compeed Plasters), Brookfarm, Blue Dinosaur & Eclipse Organics Snack Bars. 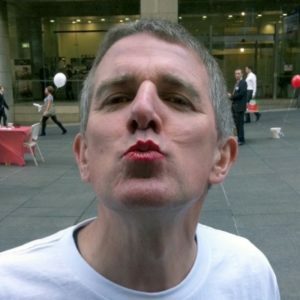 Thank you for your overwhelming support for my Kiss Goodbye to MS fundraising challenge! Keep up the great work!! thank you very much. Well done Team Robbo - quite an achievement! Well done Neil and Belinda! That was a long walk for a fantastic cause that's close to our hearts. Go Neil and your team!!! All the best and i can't wait to hear all about it when you get back! Well done Katrina - fantastic effort! Excellent achievement, great to see you & bottom's up! https://www.facebook.com/neil.robertson.90410/videos/vb.614277484/10156403375957485/?type=3 this looks like you walking into the office after lunch most days ;) Congratulations on the walk. Congratulations Neil! Hope your blisters heal soon! Congratulations Katrina , what a wonderful achievement, go girl. Bonus donation for your amazing effort finishing! Well done . you are amazing! A bit to keep you going in the bad weather! Go Katrina - you are amazing! Wishing you luck as you tackle this incredible walk! Best of luck on your long walk...I hope you have great fun. Hope this helps with your fundraising. Love V.
Good luck Katrina and may you not encounter too many obstacles along the way. Rise above the bogs, look to the skies for light and inspiration. I admire your determination Katrina. Good luck! We know that you will do great as you have been preparing so hard for this. Enjoy the walk and your time in the UK! I admire the level of dedication you have to this wonderful cause and look forward to reading your next instalment. You are a real encouragement to us all to get off our ...s and make a difference! Good luck, Katrina, love your determination! Good Luck Katrina! What an amazing endeavor. Have a great time Neil. Hope the rain stays away for you! Well done Katrina. Hope you raise heaps of funds for MS Research and also enjoy the walk. Best wishes on your trek. You're a better man than I am Gungadin. Under the shaaaade of a sycamore treeeeeee a familiar refrain bet there's no billabong though, brilliant work all of you. Neil, inspirational as always - a little Jagger-esque too! Looking very Jagger in that photo Neil. 😊 - leading the way as usual. Well done. Best wishes to Mike and Katrina too. All the best on your walk Katrina. Hoping for lots of sunshine for you! Katrina - a great cause. I'm incredibly impressed. I hope the sun shines on you every day, as you deserve it. Good luck with the walk Katrina, hope you get some good weather. An incredible effort made my an equally amazing woman - Go Trine ! All the very best for the walk! Amazing. Will be with you in spirit the whole way! Go, Katrina! 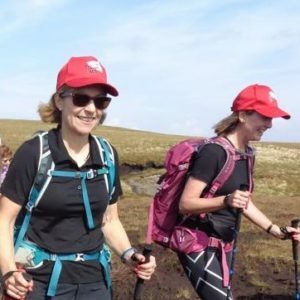 What a wonderful cause and an amazing challenge you've set yourself - you can do it! Hey Katrina, such an incredible undertaking for MS. Looking forward to following your progress! Good luck Katrina. I look forward to seeing your snapshots. Katrina is a woman of great determination and spirit, a legendary long distance walker and the most supportive wife that a person with MS could ask for. She also has Type 1 Diabetes. I love you, Trine, and wish you all the very best in yet another incredible walk.